Disclaimer: I'm not an attorney. This is not legal advice. The PayPal and Google lawsuit is just another one of Google's seemingly endless big-name legal tangles over the last couple of years. Why is Google litigation such a frequent topic? At least in part, it's because Google has one of the most aggressive stances towards litigation of any member of the tech industry. Google's reputation for taking its battles to court has become almost notorious (well, except for the "Buzz" incident) - regardless of cost or, sometimes, likelihood of victory. Google's approach is one of the modern corporation - during the 1990's and 80's, when civil litigation was actually more prevalent, in-house counsels for major corporations often preferred to settle potentially high-dollar suits rather than risk wasting piles of cash on defending them, only to lose in the end. That statement came from a Google spokesperson, speaking to TechCrunch. As one of my professors would say: clear as mud, right? The definition of a trade secret in California is really quite broad - because proving that a trade secret has actually been misappropriated (used without permission) is in itself a tremendously difficult thing to do. Why? California, where the suit has been filed, takes a unique (and very hard-line) approach to handling trade secrets. The state is one of only three to have actually banned non-compete agreements (trade secrets are a type of non-compete agreement), and trade secrets constitute one of several exceptions to that ban. California's attitude toward any agreement restricting competition or employment for skilled individuals, then, is a very skeptical one. Still, NDAs (non-disclosure agreements) remain a very common condition of employment for high-ranking individuals at major tech companies in California - and are legally enforceable. In fact, violating an NDA can have truly disastrous consequences for the company accused of misappropriating trade secrets related to that NDA. Bedier, the PayPal VP who left for Google, signed such an agreement when he started at PayPal. The preferred resolution to trade secret disputes is almost always settlement - because the primary remedy is either to enforce the contractually stipulated provisions regarding breach in the NDA (which are likely pretty harsh) or, if the damages exceed what the NDA allows, actual damages (which could be even worse, especially if the breach is considered "willful.") A royalty agreement is unlikely in a case involving business plans, strategy, or future product release schedules. Bedier transferred up-to-date versions of documents outlining PayPal’s mobile payment and point of sale strategies to his non-PayPal computer just days before leaving PayPal for Google on Jan 24, 2011. On information and belief, Bedier had already decided to move to a job at Google when he did this, and he had no legitimate reason for obtaining an update on PayPal’s strategies. 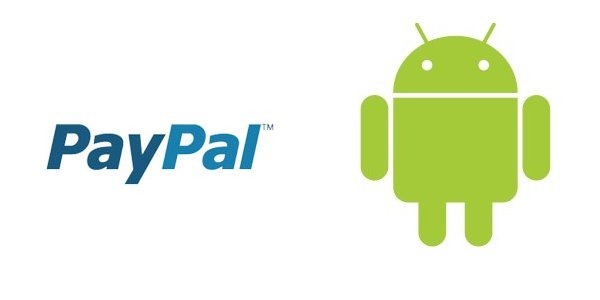 PayPal is informed and believes and on that basis alleges that during ... sales efforts, Bedier has been and is improperly comparing Google’s products and services with PayPal’s products and services in discussions with customers that both PayPal and Google are courting. In particular, on information and belief, Bedier’s comparisons incorporate PayPal trade secrets, including PayPal’s schedule for deployment, anticipated features, and back-end approach to mobile payment, point of sale, and the benefits of a wallet in the cloud. If true, PayPal's accusation is a fairly serious one. However, it will all come down to just what those alleged documents contain, and just what information Bedier was privy to during his time at PayPal. If PayPal can't show that those documents or Bedier's knowledge are trade secrets (that's the big one) and that the unauthorized disclosure thereof is actually happening and is harming PayPal, there's no case to be made. It's also worth noting that California courts sometimes refuse to enforce NDAs or trade secret allegations for vagueness or on grounds of public policy, in the name of facilitating employment and competition. PayPal alleges numerous contractual breaches and interference in its complaint, as well - though in terms of damages, those allegations are likely secondary to the trade secret misappropriation PayPal wants the court to recognize. If they can get that cause of action nailed down, the others become much less important to making PayPal's case as a whole. In a situation like this, where the alleged damage has probably already been done (Google probably knows everything of value Bedier knows at this point), PayPal is probably looking for a payout. Whether or not they'll get it remains to be seen.